What are you waiting for? 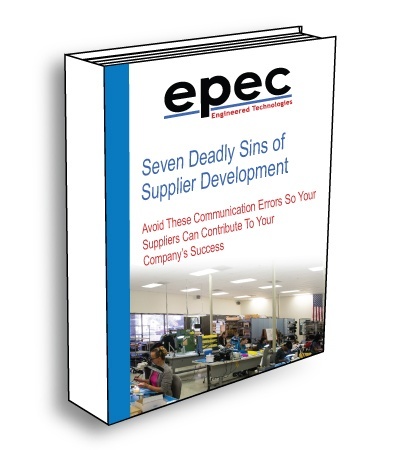 Download the Seven Deadly Sins of Supplier Development Ebook to learn about some of the common communication errors to avoid, so your suppliers can contribute to your company’s success. This Ebook is intended to help you and your suppliers’ work together to develop a strong relationship in hopes of eliminating errors and improving operating efficiency. By avoiding these seven bad habits, your efforts in improving your supply base will go much further, much faster.